In recent years I had the privilege to strengthen my friendship with Michel Rocard. I met him when he was Euro-MP and the Near East gave us the chance to work together in favour of peace between Israelis and Palestinians. Since then, we met frequently and held many meetings and I had the chance to enjoy his vitalist twist in several lunches. The last one was not very long ago, not more than two months. The disease was already there but Rocard’s internal strength remained intact and his quick and deep glance still conveyed his great will to share analyses and thoughts about the current state of social democracy, Europe and the world. His criticism of the lack of action of the most recent social democrat governments was complete. I warmly recall how he defined, within a major conceptual vision, the way that socialism has still to go in its last and most ambitious challenge: emancipating human beings once basic needs have been secured by the Welfare State. It is solely social democracy’s task to create a sustainable society, respectful of climate change and that manages to reduce working hours so that people may have time for creative and cultural socialisation, thus lifting their spirit and their sense of solidarity. No, Michel Rocard was not one of those social democrats who compromise with the political centre and neoliberal ideas. 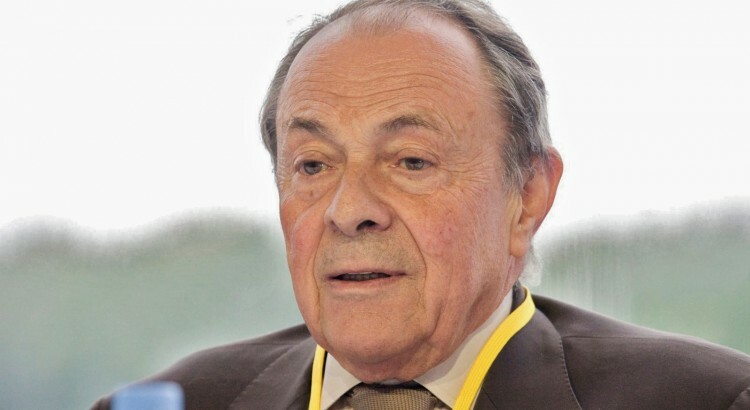 Michel Rocard was a strong advocate for true socialism and in his last days forcefully demanded that a new narrative and a new discourse should be established in this beginning of the 21st century. For him, Europe was the most appropriate space to reach that dream, and therefore he felt a tremendous frustration when he saw how the EU was unable to respond to the many ongoing challenges. In our last conversation, he clearly and forcefully declared to be in favour of “Brexit”, hoping that at last Europeans could reach their federalist dream without having to cope constantly with the British Trojan horse. He was a good friend of Spain. His contribution was decisive in the latest Agrarian negotiations with Brussels when he was the French Minister of Agriculture, and when he was Prime Minister he intensely cooperated with Felipe González. Together with Minister Solbes, I had the honour to grant him a high honorific distinction in acknowledgement for his major task in defending Spain’s integration within the EU. Michel, rest in peace with the satisfaction of having built a true political legacy. “La politique politicienne” was not your thing. Intrigues, short-term strategies and conspiracies were not part of your priorities and, for that reason, your legacy deservedly lies in the Pantheon of great State men.